35 But love your enemies, and do good, and lend, expecting nothing in return, and your reward will be great, and you will be sons of the Most High, for he is kind to the ungrateful and the evil. 36 Be merciful, even as your Father is merciful. Too often people complain or tweet about not having friends or community in their life —if only they knew that the solution lies within them! Just as Jesus initiated a relationship between Himself and humanity, sometimes we must be the instigators and initiators of friendships so that we can enjoy the fullness of community that God intends for us. Why not create quality community for yourself by being a friend first! Jesus didn’t wait for us to approach Him; He made the first move. Romans 5:8 says, “But God showed His great love for us by sending Christ to die for us while we were still sinners.” We did not ask for Jesus, nor did we do anything to deserve Jesus, but yet He still came to us. Rather than wait for others to acknowledge us, look in our direction, or invite us to sit with them, as Christians we should imitate Jesus and go first in friendships. 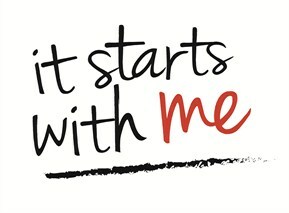 Make the first move: make eye contact, be the first to smile, have a good attitude, and introduce yourself! While your friendliness won’t always be reciprocated, most of the time it will be received and returned in your direction. The more you do this, the more confident we will become and the more we will recognize community happening in and around our life. Go today and extend your friendship to a stranger, or to someone you have known for years (but have never been friends with). Dear Lord, help us to be a friend today. Give us the courage to make the first move like You taught us. In the Name of Jesus, Amen.